Fernando Alonso set the pace in a delayed and shortened Free Practice 1 session at the Circuit of the Americas in Austin, Texas. Jenson Button was second fastest for McLaren, ahead of Valtteri Bottas, who was third for Williams. The circuit was shrouded in heavy mist at the scheduled start time of the session. The conditions were too poor for the medical helicopter to take off, which meant the start of the session had to be delayed. 40 minutes after the scheduled start time, conditions had improved enough for practice to get underway. It was announced at that point that the session would be shortened to an hour as a result of the late start. Heikki Kovalainen was first out on track, keen to get as much mileage under his belt as he acclimatizes to the Lotus team after being drafted in to replace Kimi Raikkonen, who has undergone surgery on his back and is out for the remainder of the season. All of the drivers did at least one lap before returning to the pits. The McLarens of Jenson Button and Sergio Perez made good use of the early running time, racking up as many laps as possible in the 15 minutes before the red flag came out and the session was stopped. The cause of the stoppage was soon revealed: the medical helicopter, quite apart from not being able to take off, had not even arrived. The session had only started at all because the helicopter had apparently been on its way to the track, but when the drivers started to set quick lap times and the helicopter had not arrived, race control had no choice but to halt the session on the grounds of safety. Half an hour later the medical helicopter finally arrived and the session could continue. When the green flag came out, there were just 32 minutes remaining in the session, as it had to be further shortened to finish by 11am local time, as F1 regulations require a break of at least 2 hours between F1 sessions and FP2 is scheduled for 2pm. 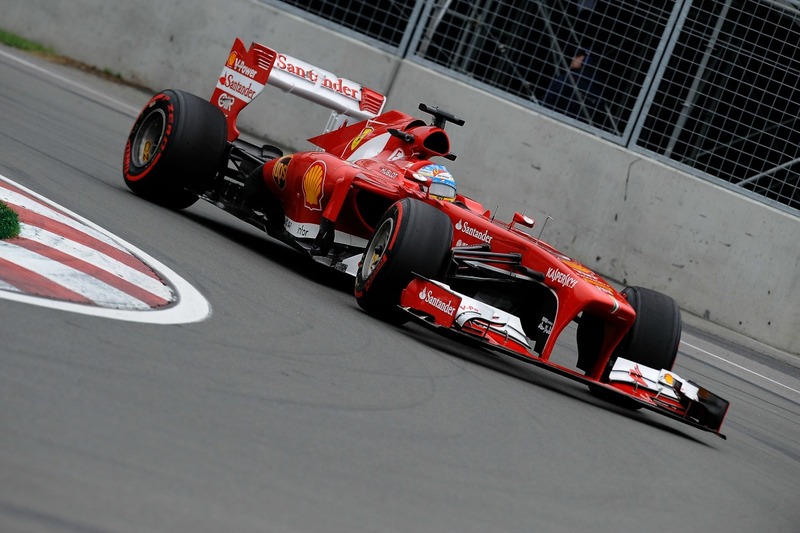 At the end of the combined 47 minute practice session, Fernando Alonso was quickest for Ferrari, demonstrating that his aching back is not affecting his ability to drive on the limit. Jenson Button completed 25 laps, more than any other driver, and set the second fastest lap time in the session. Valtteri Bottas was an impressive third for Williams. Heikki Kovalainen, in his first practice session for Lotus, was just a quarter of a second off the pace of his team-mate, Romain Grosjean. Considering that Kovalainen had never driven the Lotus E21 before today, that is an impressive performance from the Finn. Daniil Kvyat made his F1 weekend debut, driving Jean-Eric Vergne’s Toro Rosso in FP1 just a week after earning his FIA Super Licence. Kvyat will race for Toro Rosso in 2014. Other drivers who subbed in for the session were Rodolfo Gonzalez, who drove Jules Bianchi’s Marussia, and Alexander Rossi, who took over Giedo van der Garde’s Caterham in front of his home crowd. Gonzalez coasted to a halt in the closing stages of the session as his Marussia’s engine switched off to protect itself from imminent failure. That was the only on-track incident of the session.